Every crew has a ritual of sorts developed over the years to make sure everything goes smooth going in and out of the desert. Depending on how far away you are traveling, alone or with a group, some things will vary of course. Here are some tips and tricks that we found helpful along the way, whether you are coming from abroad or coming in from the states. Test your gear, tent, lights, etc. Precook meals and freeze them to insta cook at the playa. Fill up Gas, Tires, Brake Fluid, Oil, etc. Get a good night sleep - You don't want to fall asleep at the wheel driving in. The day before, actually a couple days we start. Depending on how much you need to still get, give yourself some extra time to find it. We make sure that we have all the gear on our checklist. Usually we have to replace, fix, upgrade something, so we pickup anything we might be missing at the hardware store or camp outlet. Thrift shops are a great place to pick up sheets, costumes, furniture and other decorations to make a camp nice. You will need to make sure you get enough food and water for the trip. If you wait till the last grocery store before Gerlach, you may find a lot of essential items missing from the shelves. Other burners have been before you. Make sure to get your groceries at least the day before you go. Some last minute items you could probably find along the way, but better safe than sorry. Here is a tip. Rent an AirBNB apartent with a kitchen, you can precook a lot of your meals. Then freeze them and place them in coolers to be heated up on the playa. Pastas, soups, chilis and the like are good examples. There is a safeway leaving Reno going to Gerlach. We have gotten a safeway pass just for the burn. When you do grocery shopping at Safeway, you gain points. You can use those points for free gas at the Safeway Gas station in Reno. A great tip for the thrifty Burner. There are a number of chores to do after you return from the Burn. Here is a short list to help you check. Gear cleanup - Find a car wash, get some coins and get spraying. Laundry - While some are washing the gear, others can use the laundromat to wash clothes. Storage - If you are putting your gear into storage, make sure it is all dried and clean before you do. You don't want to have dusty or moldy gear sitting for a year. Shower - All your gear is clean, time to get you clean. It's amazing how much dust you will find. Pack a set of clean clothes before the burn in a sealed bag. Put this on when you are back and you will feel a lot better. Get a mani - pedi - Yes, your poor feet and hands will thank you. Make sure to give a good tip to whoever has to deal with your broken toes and fingers. Find A Local Decompression - There is an adjustment for a lot of people back to the old world. There are a number of parties and get togethers that local burners do to "decompress". Go join one of these events and connect with the community more. Make sure to keep your waste separated into recyclables as much as possible. Use separate garbage bags for paper, for cans, food waste and plastic. This makes waste disposal much more effective. There are drop off points at a number of stores and facilities in Reno and surrounding cities. More recycling options at www.earth911.org. Do not throw your garbage into a dumpster behind a store. If you do go in and have a meal at a restaurant, you can ask them if you could put a couple of bags in their dumpster. Be cool about it, not sneaky. Every year new burners dump garbage on the side of the road and any free dumpster right away. 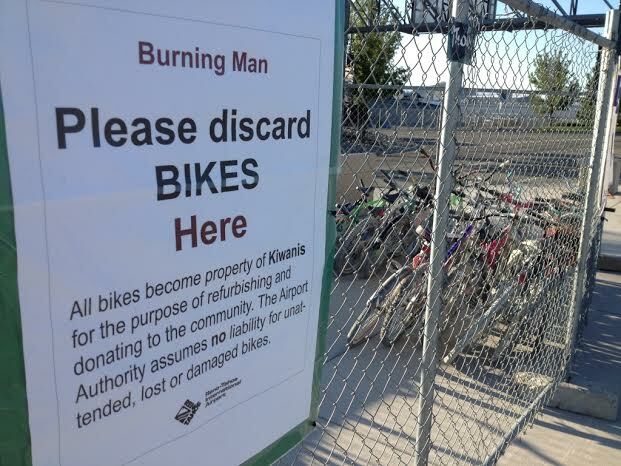 It gives a bad name to burners and does not follow the Leave No Trace principle of Burning Man. It is also ILLEGAL! So do not do it! 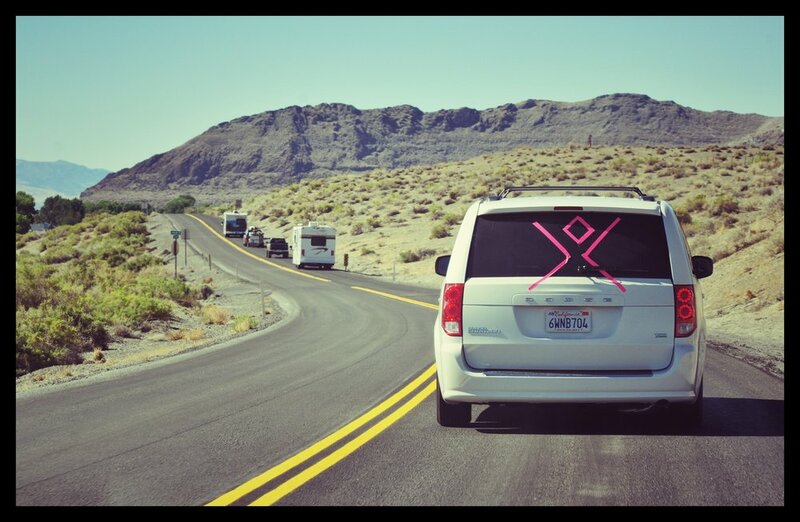 Did you know that volunteers stay for a months to make sure that everything is cleaned up completely from Burning Man? This does not mean that you can dump your stuff. They make sure it is spotless as should you. Make their job easier. Besides making sure you leave no trace, you can donate your unused water and non perishable food to the volunteers. While driving out you will see a drop-off station near the festival exit. Just pre-pack everything in a box or bag to hand to them on the way out. Good karma! 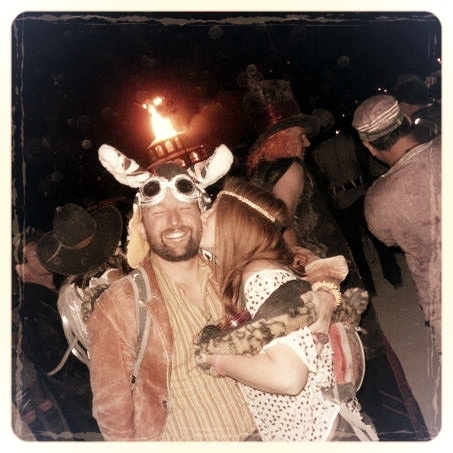 There are a number of camps at Burning Man which recycle waste. Cans can be recycled at the Recycle Camp. They are crushed and taken to schools for deposit in Gerlach. Wood pieces can be given to Burners Without Borders starting Sunday at 3, 6 and 9 on the Esplanade. Drop off your usable lumber (full size pieces of 2 x 4, 4 x 4, and plywood only, please; no scraps), as well as certain building materials (pipes, conduit, wiring, tools, and other re-useful non-liquid hardware items). Got some time to kill after the Burn? Help them organize, clean & sort donations! There are a number of places where you can dispose of your grey water wether you are in an RV or have canned it to bring back with you. Do not dump your grey water out off the road, into the sewer or somewhere else just as bad. Dispose of it properly, otherwise you could start the next ebola outbreak or worse. Here is a list of places where you can dispose of your grey water. If you are not planning on coming back and hate camping, you may want to get rid of your camping gear. Please do not just throw it away. If it's in good condition there are a number of organizations that will take your equipment and use it for good causes. Do not be insulting and dump a bunch of items that are trashed just because you're too lazy or cheap to bring them to the dump. If the items are not damaged, but maybe lightly dusted, try to get as much dust off the items as possible and make sure that they are otherwise clean. Here is a list of donation points for bikes, food and gear. There is also a link to these locations on a google map. As you can see there is a lot to consider when going to The Playa. Don't be afraid to reach out to other burners on your trip. You will begin to notice each other more and more. Also remember that your actions reflect on ALL BURNERS, so make sure to leave a good one. Happy Burn! If you have any tips, please let us know in the comments.